The Commented Bible – Book 23B – Isaiah, is part of a series of writings on the complete writings of the Bible. 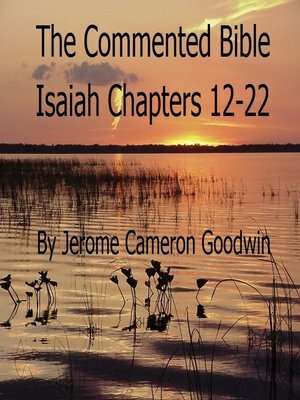 This book in the series is Book 23B, and it covers the Bible book of Isaiah Chapters 12-22, covering every verse, with commentary, extensive cross-references and study questions for each verse. It is 236 pages in length and will serve as a learning tool and continuing study reference throughout one's life.